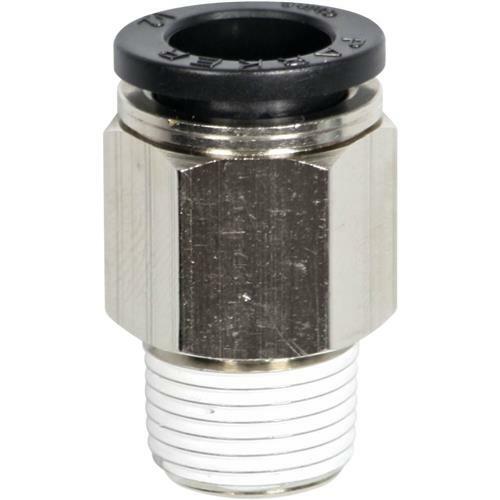 These 3/8" NPT Straight Fittings for Rapid Air Compressed Air Piping System are designed to make installation fast and easy. Simply push the tubing firmly into the fitting until seated. If removal is desired, push in evenly on release button and pull tubing out of fitting.